Delivering integrated instrumentation, control and electrical solutions for power generation and water plants – on time, within budget, and with strict compliance with health and safety regulations – is one of ABB’s deﬁning strengths. ABB has a long and distinguished track record in project execution. It is one of our defining characteristics, a competitive strength that differentiates us from the competition. There are many factors that contribute to this – from our integrated solutions and engineering expertise, to our global footprint and resources, and our project execution professionalism. ABB has been in the power business since the days of Edison and the world’s first commercially operated power plants in the 1880s. During those 130 years we have built up a vast bank of expertise that extends across all power and water plant applications – from thermal power plants and renewables to water processing and distribution. In that time our installed base of power and automation products and systems in the power and water business has become one of the biggest in the industry. There are few power or water plants in the world that do not rely on ABB solutions to secure production and plant efficiency. Our offering of integrated instrumentation, control and electrical (ICE) packages builds on this heritage of leadership in power and automation technologies. These packages consist almost exclusively of ABB products and systems – from the generator circuit breaker to the substation and grid connection, from the gas analyzers and flow meters to the distributed control system and plant optimization software. We also take full responsibility for system studies, design, engineering, installation and commissioning, and we support the plant over its entire life cycle with a comprehensive program of service products and solutions. Most importantly, our integrated ICE solutions simplify the project execution process and deliver substantial savings to the customer. For the contractor they eliminate the risk of working with multiple vendors and of integrating multiple interfaces into a single system. With ABB, there is just one vendor and one interface. This reduces the need for engineering and speeds up project execution. The potential savings in capital expenditure for a greenfield project are significant. For the end customer, the ABB single vendor/single interface solution delivers operational benefits in the form of significantly reduced cost of ownership. An integrated electrical and control solution maximizes production and efficiency. It also reduces life cycle costs by minimizing the need for spare parts, maintenance and staff training. ABB operates in about 100 countries and employs around 145,000 people. Of these power and automation specialists, around 4,500 are dedicated power generation experts, engineers and project execution professionals. They know the global and regional power markets, and they know the market drivers and customer preferences for each market. They, and our global footprint, enable us to serve our customers in whichever markets they operate worldwide. Much of our project execution expertise is channeled via our network of competence centers. These serve as centers of excellence for a broad range of applications: thermal and water, photovoltaic power plants, hydropower, hydro generator service, nuclear, energy efficiency, cyber security and Symphony Plus automation. Our global service network is probably the largest and most decentralized in the power and water business. We have more than 1,300 dedicated power generation and water service specialists in 56 countries worldwide, ready to respond quickly and proactively to customers’ needs. For all our products and systems, we offer low-risk evolution strategies that ensure maximum return on investment while enhancing equipment availability and performance. Our service philosophy is simple: We protect your investment through the stepwise evolution and upgrading of your electrical, control and instrumentation systems to minimize the consumption of energy, prolong asset operating life, and reduce the cost of ownership. 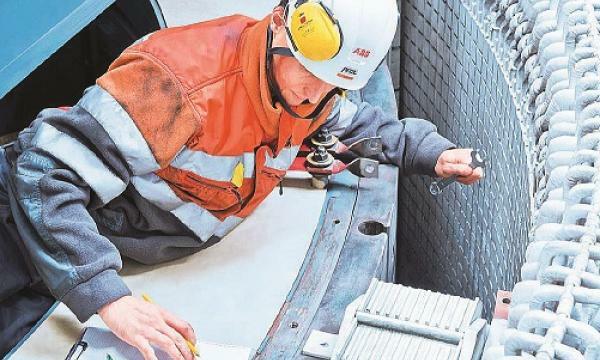 ABB prides itself on its ability to deliver each project on time, within budget, to the correct specifications and in compliance with health and safety regulations. Each ICE project is led by a certified ABB project manager. He is ABB’s face to the customer and his role is to ensure smooth and consistent project execution, from the first kick-off meeting to completion and hand-over of the plant. Behind each ABB project manager stands a team and an organization with vast experience and proven procedures for managing complex supply chains of ABB and third-party manufacturers. Our extensive worldwide network of power and automation manufacturing partners enables us to deliver the solution on or ahead of schedule and at the best price. Installation is always supervised by an experienced ABB site manager, and commissioning is always performed by ABB engineers. This approach ensures that the equipment is installed to ABB’s standards and the solution optimized to achieve the best possible plant performance. Compliance with health, safety and environment (HSE) regulations is a crucial part of ABB’s project execution activities. Our objective is simple: to instill a zero-incident culture throughout the workforce and design HSE into all site activities. Our zero-incident policy extends to legal compliance as well. All ABB managers are trained to comply with the laws, ordinances and regulations that apply to the project and country in question. Our employees are required to follow the values and principles of the company as set out in the ABB Code of Conduct, which is based on ABB’s business principles of responsibility, respect and determination. Following the successful completion of the project, ABB offers a comprehensive service portfolio for the entire solution – with dedicated service professionals and fast response times from our global network of power generation and water service centers. To learn more about ABB’s offering, please contact your local ABB power generation office or visit www.abb.com/powergeneration. Utilities need to continuously minimize operation and maintenance costs and improve their commitments for bidding in their markets. They need decision-support tools to determine their optimal operation strategy. Minimizing cost can be carried by operations scheduling (unit commitment). A new version of OPTIMAX PowerFit, now available in the ABB Dynamic Optimization platform, provides a new optimization method for real-time power plant control. It enables the pooling and combined management of individual power generation units, as if they were one large plant. Real-time optimization distributes overall set points to each individual power generation unit, considering actual efficiencies, process constraints and temporary limitations. The introduced hierarchy reduces overall complexity, increases flexibility, and provides the best power generation solution for each unit. The new trends in power generation are driving the switch to automated optimization in real-time control systems. OPTIMAX PowerFit directly accesses the automation network via the scanner, supplementing fast, reliable communications with sophisticated numerical optimization, reliably handling large optimization programs in fractions of seconds. For large conventional power plants, the idea is to pool and optimize multiple units per plant locally, automating communication from the load dispatcher to the control systems of the power generation units, enabling responses to increasingly frequent updates. It ensures the appropriate provision of primary frequency control, secondary frequency control and required load ramps. Pooling small renewable power plants can achieve an overall capacity that is sufficient for participation in the electricity market. Many renewable production units, like wind and solar, do not participate in direct trading. 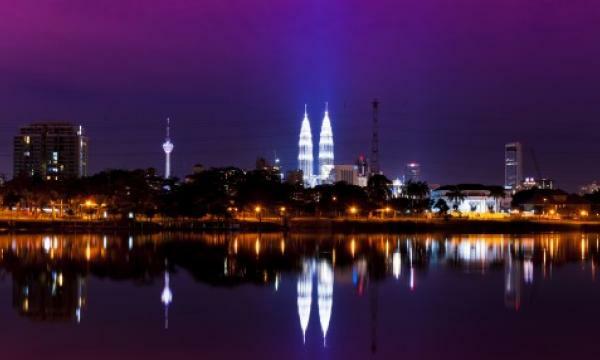 Instead, they supply an increasing amount of unmanaged power to the grid. This can harm grid operation and stability. Renewable supply management controls the amount of renewable power fed to particular distribution networks. Online optimization offers proven technology to break down overall set points to individual power generation units, fulfilling legal requirements and meeting plant constraints. As a result, the renewable generation units receive limits for their supply to the grid.